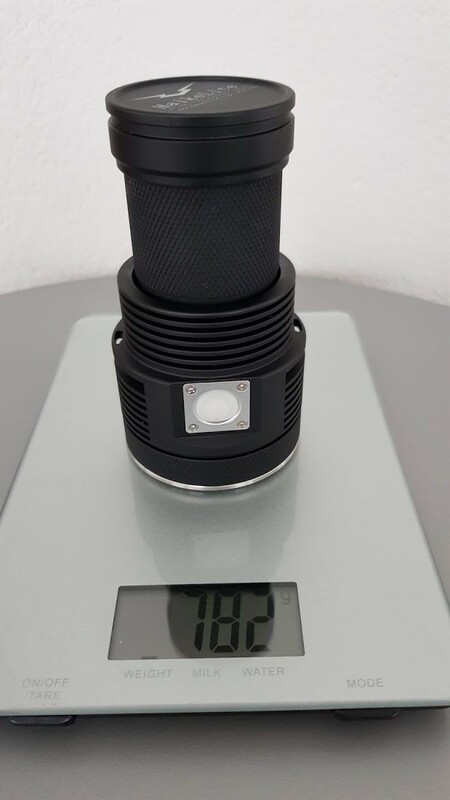 Haikelite has a new pure copper MT03 on taobao, priced at 2580 yuan (USD 374)! Looks interesting. Looks like Brass to me. Imagine how heavy it would be if it were copper. Still awesome. No way…. Wow… They’re really crazy (in a good way). If you copy the enlarged and highlighted word “纯铜” in the description and paste in google translate, it translates to pure copper. 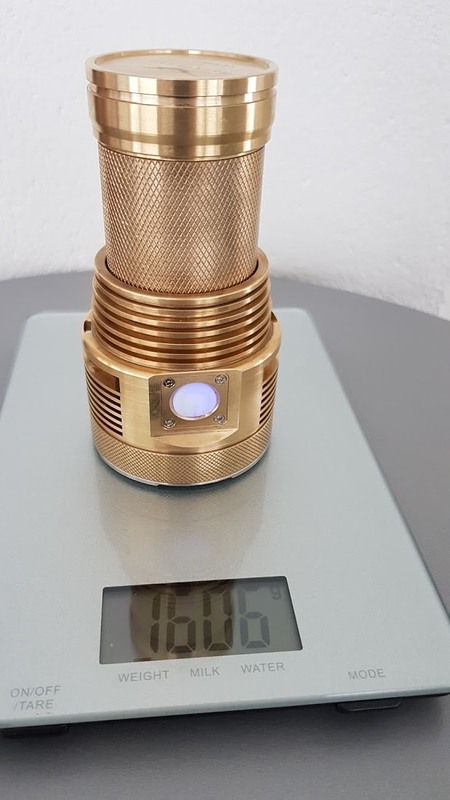 And for what it’s worth, brass is so close to the same weight as copper you’d not likely be able to tell a difference by the weight of that light. Tend to agree with Dale (I really, really hate that ). Have heard more than once that Chinese use same word for red copper (copper) and yellow copper (brass). And most Chinese manufacturers prefer calling Beryllium Copper, Beryllium Bronze. While not false, it can lead to confusions. If I’m not mistaken an MT03 made of pure silver would be even better in terms of heat dissipation. Well yes, but the difference would be small, and not really too useful. The problem with making an entire light out of a high thermal conductive material is that the heat from the emitters is spread virtually instantly throughout the entire light, surrounding the Li-ion cells in this heat and making it difficult to actually hold. I could not resist it so I got one. Heavy like a brick, 1604 gram with four 30Q´s. But nice.. yes it is. What is next Haikelite? MT07 in brass?? Isn’t that heavier than the Imalent DX80? Man I wish it was copper and not brass. Copper version would make the best heat shedding host even better. Yes, always a pleasure doing business with you and your friends. No name mentioned but you can all guess. @Theodore, I was speaking between copper/silver. Yes of course.But even then,there is more weight with silver,as copper density is 8.96. Looks really sweet. 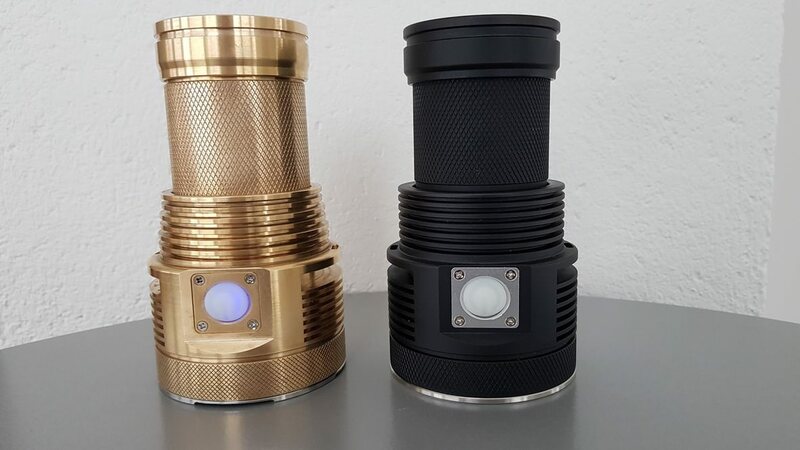 I wish they can do a copper version. 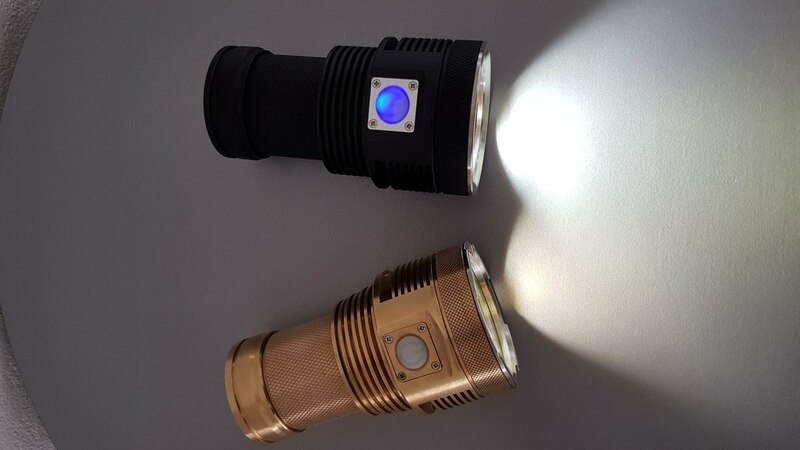 It is out there on AliExpress, Haikelite Store. Nice. I might have to pick up one. Just because of color. Anyone has bought it? 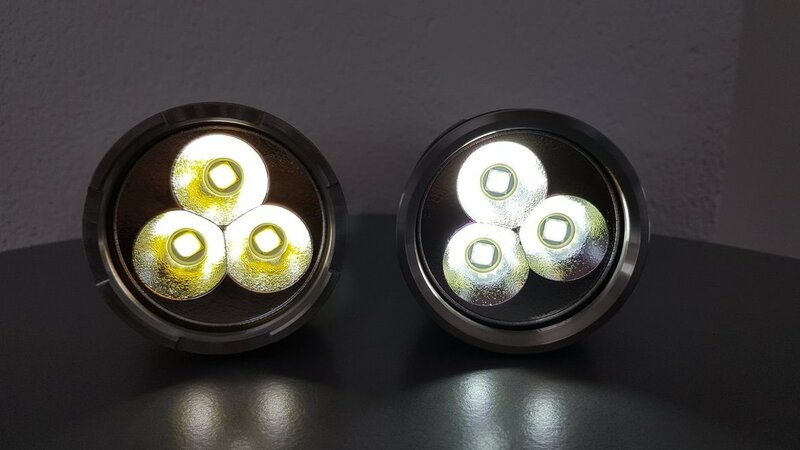 Care to take more pictures on internal parts? I wonder is there aluminum parts internally except the reflector. 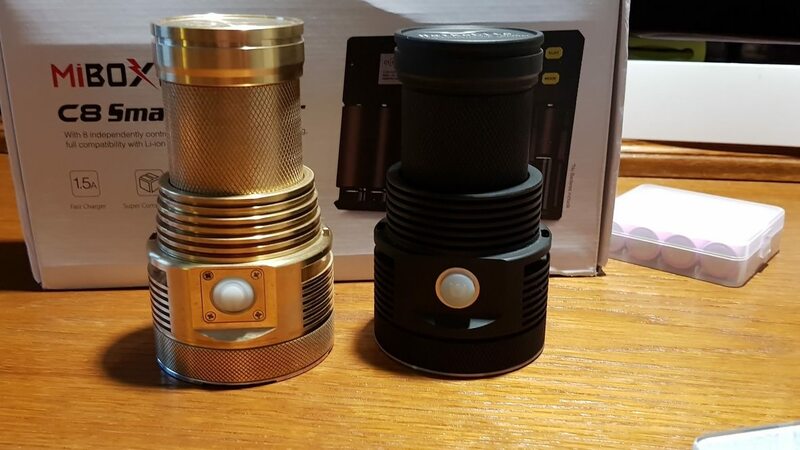 isnt brass a very bad heat conductor for a light this much lumens ?